A small round-up of allergy-friendly Christmas chocolate for 2018. As always, double check ingredients and ‘may contain’ warnings before you buy. A selection of chocolate in their free from range. Most seems to contain only soya, of the 14 allergens, but check ingredients. More here and here, for example. Boxes of chocolates and attractive chocolate Christmas trees. Free from soya, nuts, gluten, egg, cows’ milk. Goat’s milk chocolate. Seasonal products include chocolate Christmas puddings, advent calendar, ‘merry christmas’ bars, santa lollies. This brand is free from all allergens except soya. Seasonal chocolate products are milk / dark mint chocolate penguins, and orange / rice milk santa and reindeer. Also have a chocolate hamper. 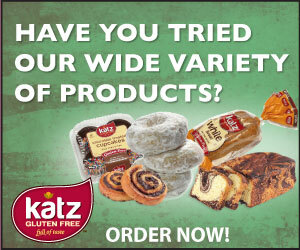 All products free from: gluten, egg and nuts. The ordinary dairy free chocolate is also soya free. The carob chocolate contains soya and ‘may contain traces of dairy’. Huge range of seasonal Chocolate products, including advent calendars, stocking fillers, chocolate snowmen, themed Xmas boxes, and (right) the only Christmas tree chocolate decorations we can find which are allergy-friendly. Free from all 14 allergens. ‘We Three Kings’ chocolate, Christmas shapes and Rudolph Lollipop (pictured right). Raymond Briggs Father Christmas advent calendar, chocolate figures and chocolate treats. Of the allergens, contain or may contain hazelnuts only. No nuts or nut traces. Free from all 14 allergens bar soya as a ‘may contain’. Great round-up, thanks Alex. FAQ page on the D&D website says their chocolate products are now produced in a soya-free environment. Could they be added to your 14-free list? Ah, well spotted. Funnily enough I emailed them to ask them about that possibility, but haven’t yet heard back.